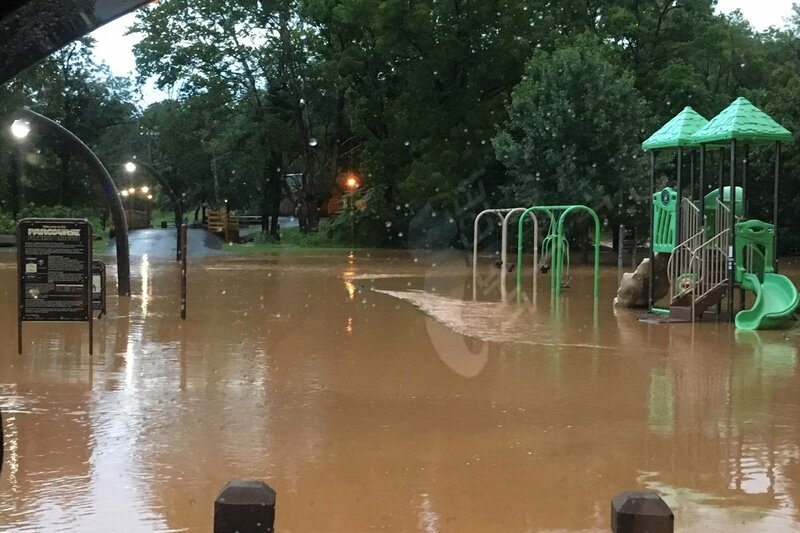 Help us restore Creekside Trail in Lynchburg, Va. Five (5) miles of the Trail is still closed due to flash flood damage. Once the College Lake Dam overtopped, all of our parks and trails downstream from the dam suffered major damage. 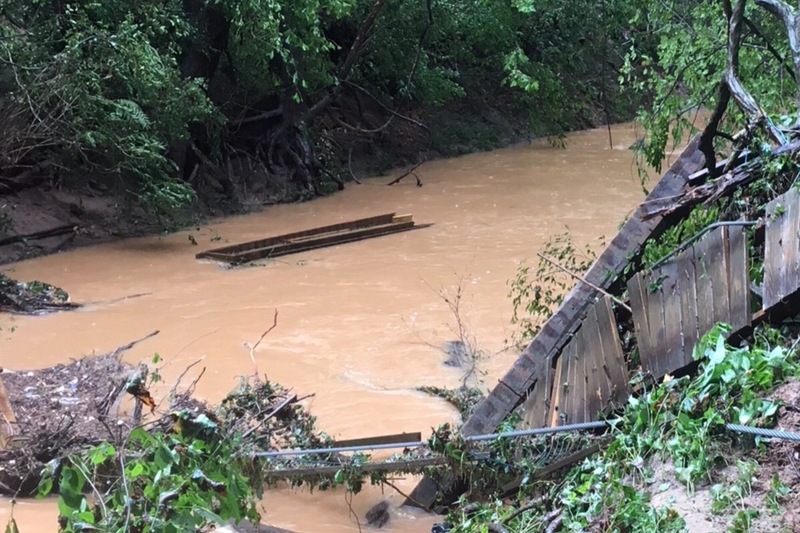 Three bridges were washed out along with over 300 downed trees, 40 new sandbars, 45 areas of stream bank erosion and tons of debris; it is going to be a long road back to prestorm conditions. We know that over 64,000 people use our parks and trails and hundreds use Creekside Trail daily for both runner training and nature respite. The funds will be used to restore the Creekside Trail, rebuild the bridges over once troubled waters, and restore banks and streambeds. The damage was estimated at 5.3 million dollars and FEMA funding is no longer an option. This leaves Lynchburg to foot the bill for the Creekside Trail restoration efforts. Capital Improvement Project funds will be limited as well. Once a month we will assesses our restoration progress and apply GoFundMe donations to Trail restoration until all segments of Creekside Trail are restored. We will then focus on rebuilding suspension bridges and restoring stream banks. The Creekside Trail System took 45 years to fund and build and a mere 2 hours to be washed away. The iconic trail infrastructure has provided thousands of hours of both passive and active recreation opportunities. The trails are often cited as a major City asset. Financially supporting the Creekside Trail Restoration will mean keeping alive the trails for our children and grandchildren to enjoy and create many great future memories. As the 501c3 arm of Lynchburg Parks and Recreation, the Friends of Lynchburg Parks and Recreation group are grateful for any size contribution as we pursue our Creekside Trail Rx program, providing the right prescription for what ails our trails. Let's make Lynchburg, A great place to play! We need your help -donate today.